In the 9th century AD, Muslim scholars made remarkable contributions to the sciences and humanities in Bagdad’s Bayt al-Hikma, or House of Wisdom, a library and research center housing the world’s largest collection of books for scholars to engage both theological and scientific matters. Today’s religious climate could use such freedom to pursue knowledge alongside religious practice. 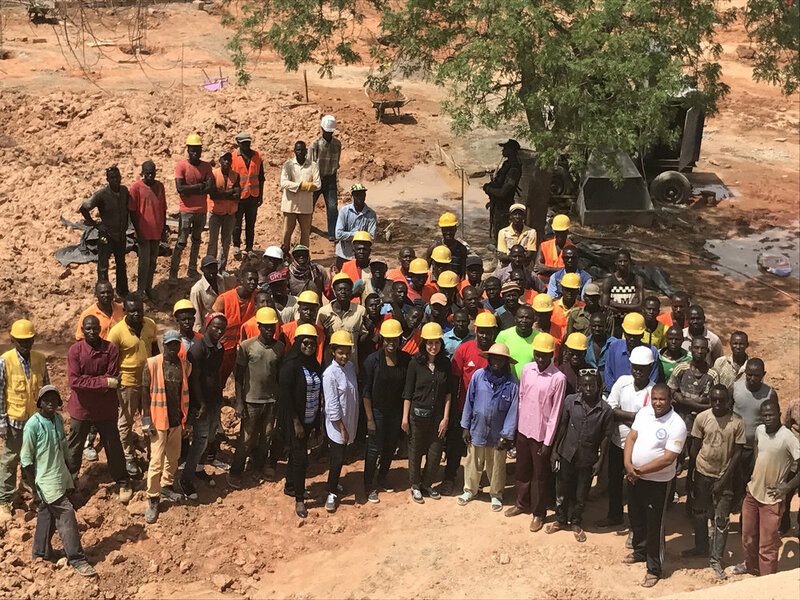 With the support of local leaders, women and youth, the Hikma project re-introduces these values embedded in Islam itself, by transforming a derelict mosque into a library that shares its site with a new mosque for the village of Dandaji in Niger. The project is a culture and education hub where the secular and religious peacefully co-exist to cultivate minds and strengthen the community. To renovate the old building to its previous glory, the original masons are invited to join the project’s team. In the process, they learn about adobe-enhancing additives and erosion protection techniques. Instead of the region’s traditional but scarce wood, the interior renovation uses metal for study spaces, partitions, stairs and a mezzanine level, as a contemporary touch to a traditional space. 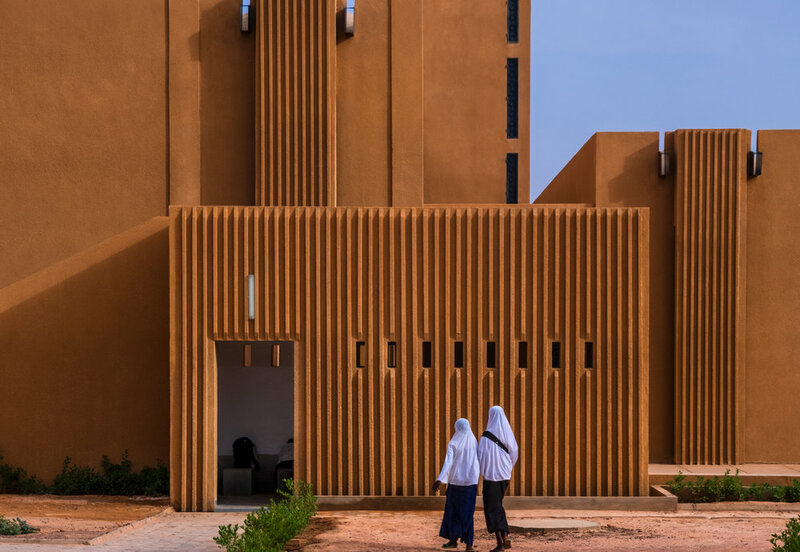 The new building in turn re-interprets traditional Hausa mosque organization with contemporary structural support and detailing. 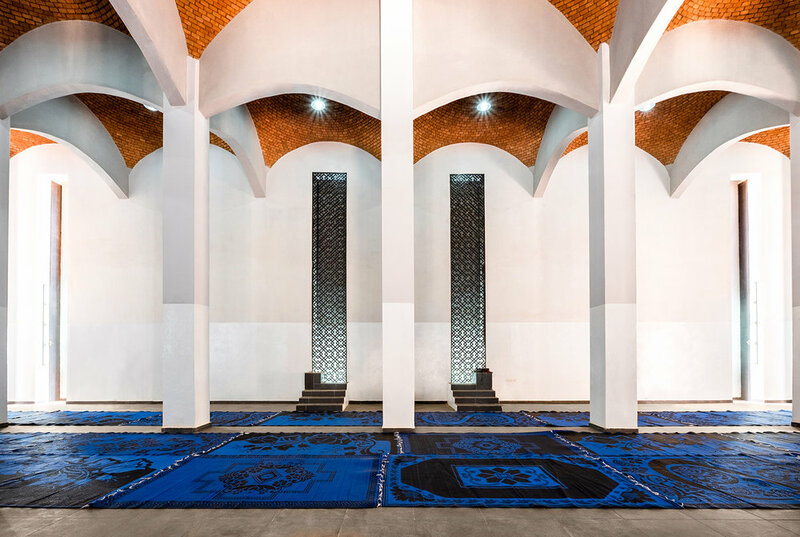 Its two blocs and outdoor prayer space are suited to daily prayers, Friday assemblies, or large Eid celebrations. The dialog between the formal structures of the old and new leads to further collaboration between the traditional masons and the construction crew.